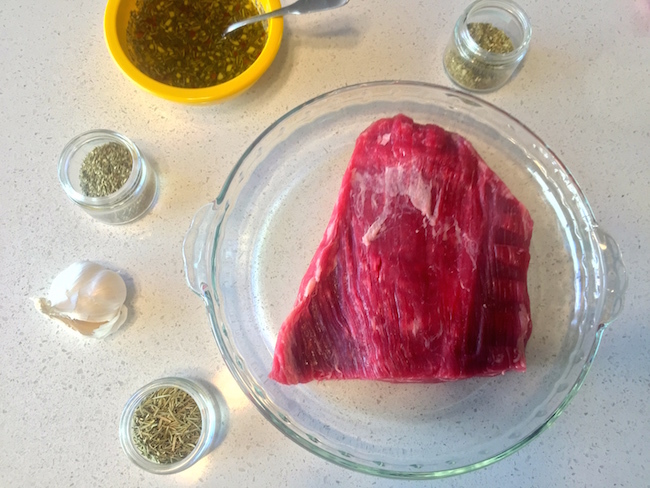 Tonight we are making a herb garlic flank steak that is quick, easy, and delicious. 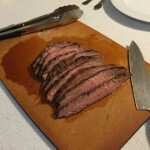 If you follow Seared & Smoked, you will know that flank steak is one of my favorite cuts of meat. 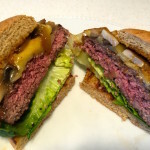 This is largely because it takes on flavor marinades quickly and ends up being a very tender steak when grilled properly. 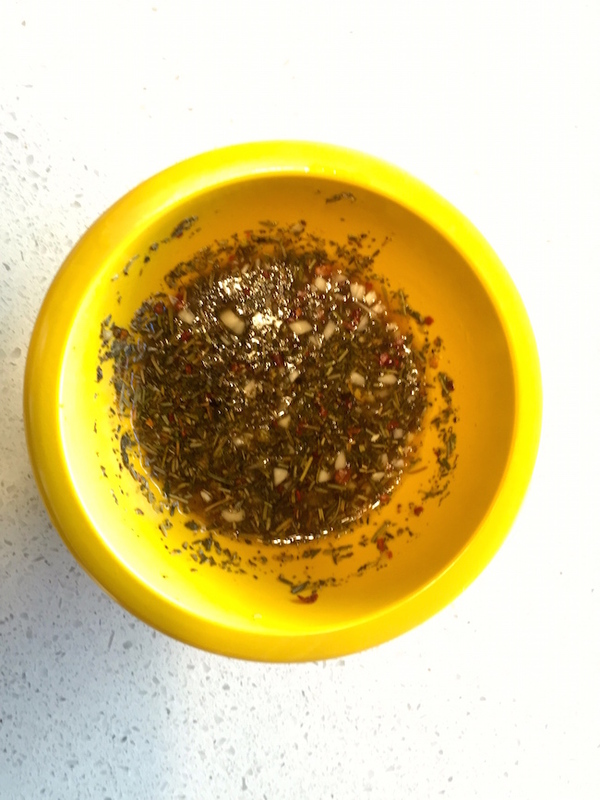 The first step is to mix up the herb garlic marinade. 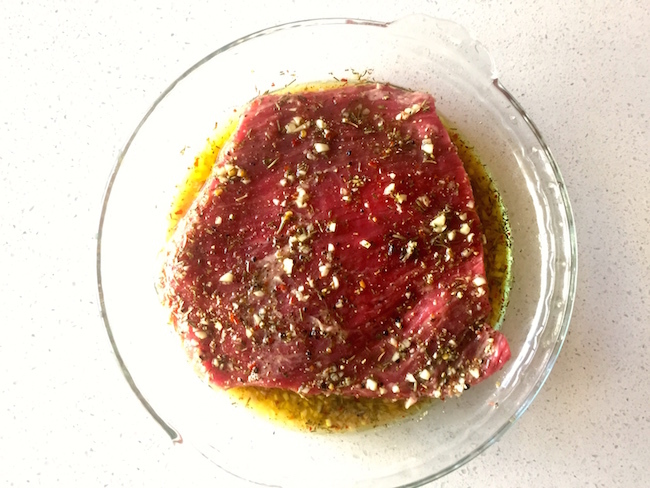 This marinade is inspired by Chimichurri, which is a South American sauce that you typically eat with your steak when served. It requires a lot of fresh herbs, which is great during the growing season. 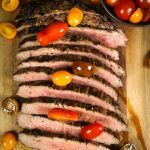 This herb marinated flank steak can be prepared year round, which is very convenient. If you are not growing your own herbs, this recipe can save you a lot of money using items in your pantry, rather than spending $10 on required herbs at the store. The key to starting the marinade is to mix up the dry ingredients in a bowl first and then add the 2 Tablespoons of hot water first. Let it sit for 5 minutes, and then add the vinegar and olive oil. The hot water will bring out the flavor of the herbs and the spice of the peppers, helping infuse the steak with all of the flavor we are looking for. When prepared, spoon the marinade mixture on both sides of the steak and rub it into the steak with your hands. Then let the steak marinade for 1 hour. If in the fridge, pull out of the fridge 30 minutes before grilling. Just before throwing on the grill, I scrape off excess garlic & herbs from the marinade. Grill for 3-4 minutes a side over high heat. My gas grill is at 600 degrees when grilling steak. Grilling times will vary depending on grill & temperature. Let the steak rest for at least 5 minutes before serving. 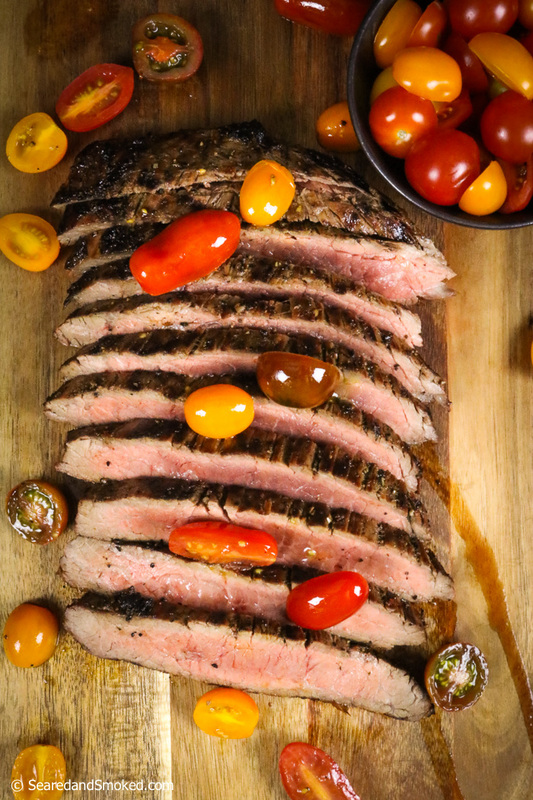 Cut against the grain of the flank steak, slicing 1/2″ thick pieces for serving. You wind find this steak is….. Spicy, Herby, Tangy, Tender, and Delicious. Give this recipe a try and comment on how it turns out. I would love to hear your feedback. Enjoy! 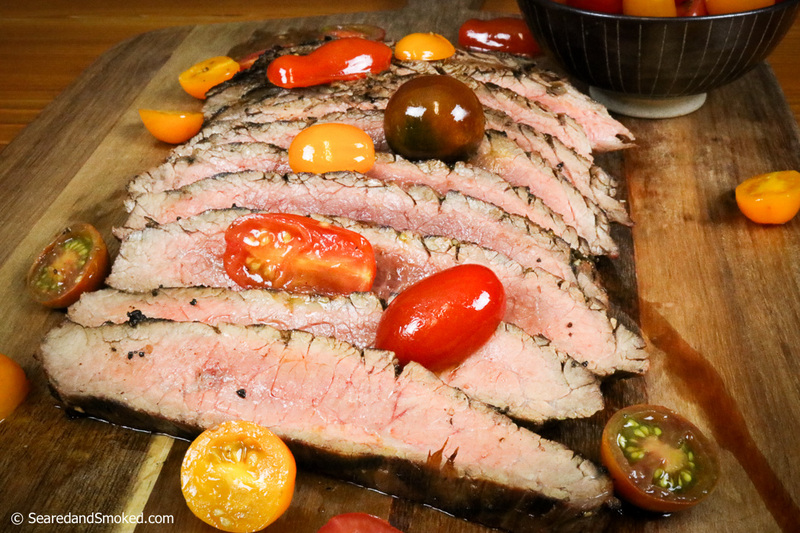 A delicious garlic herb marinated flank steak that can be prepared for an easy dinner. Add vinegar & olive oil. Mix. Apply mixture to both sides of steak and work into steak with your hands. Marinade for 1 hour. Pull from fridge 30 minutes before grilling. Grill over high heat until desired temperature. Approximately 3-4 minutes for medium rare. Slice against the grain in 1/2 inch thickness for serving. Taste and a sprinkle of salt if needed. Flat Iron Chuck Steaks also work well with this recipe. Leave red pepper out for less heat. 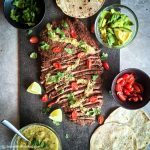 This is my absolute favorite flank steak recipe. Delicious every time! I made this last night. The marinate is crazy good. The meat seemed a little tough to cut. I’m sure it was something I did/didn’t do correctly. Keep ’em coming, they are all great.